Local and regional food marketed through direct and intermediated channels has been increasing in the U.S., with studies of producers and consumers conducted at different places and times illumi­nating the trend. Oregon producers and consumers have shown long-running interest in local agricul­ture, with direct markets providing a well-established connection between fresh and local food. To examine motivations and barriers for the continued development of the Oregon regional food network (RFN), we conducted in-depth sur­veys of Oregon producers and consumers across economic, social, and environmental variables. We identify some salient characteristics of farm enter­prises that contribute to the RFN through different types of marketing channels, and consumer percep­tions and utilization of RFN marketing channels. By analyzing producer and consumer surveys side by side, we identify opportunities for greater integration of food system actors within the RFN if producers, supply-chain part­ners, and consumers come together to realize the potential in regional marketing channels, particu­larly sales to retail, institutions, and regional dis­tributors with differentiated products based on place of origin. 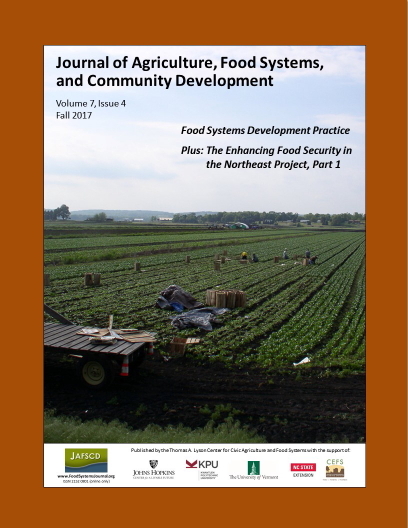 Using Oregon as an example, we find overall trends and nuanced distinctions by looking across the diverse agricultural and mar­keting landscapes, giving some insight into local and regional food system motivations that may also be useful to farmers, policy makers, and researchers in this and other regions.